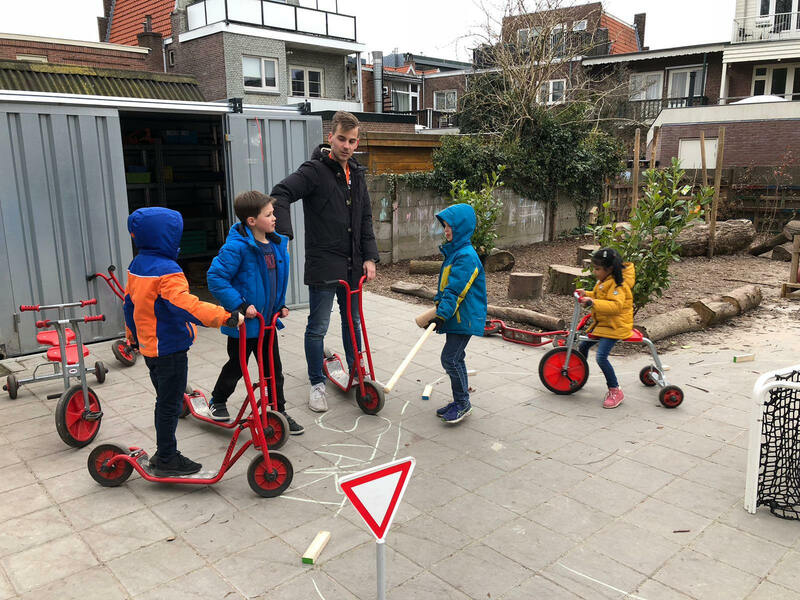 When the International School Haarlem closes for the day, the After School Club starts in a beautiful building, which used to be the old community college at the Leidsevaart. 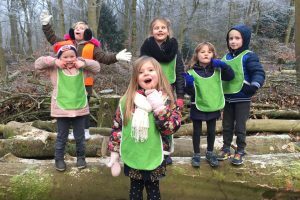 Super convenient, an After School Club in the same building as the school, we will not lose any valuable playtime as there is a lot to do at Op Stoom. A lot! A little taster of what we have to offer? Here we go: Developing green fingers in the vegetable garden, making insane art works, romping around in the playground, organising a mini playback show, playing with Kapla architectural building blocks or free-styling with residual industrial material, it’s all possible. As well as to retreat on the couch with a good book or a comic. The most important thing is that your child can be him/herself. Why? Because! Our garden, full of nature, is da bomb. It’s super adventurous with many differences in heights, places to fly kites, shrubs to play hide and seek and tree trunks to climb to the peak. And of course there are animals; insects, worms, toads and salamanders. What else could you wish for? Your child will be in a mentored group. 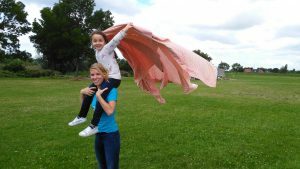 The mentor will take your child under his or her wing and if they want to share something or if something is wrong, they know where to go and who to talk to. That’s pleasant for everybody! 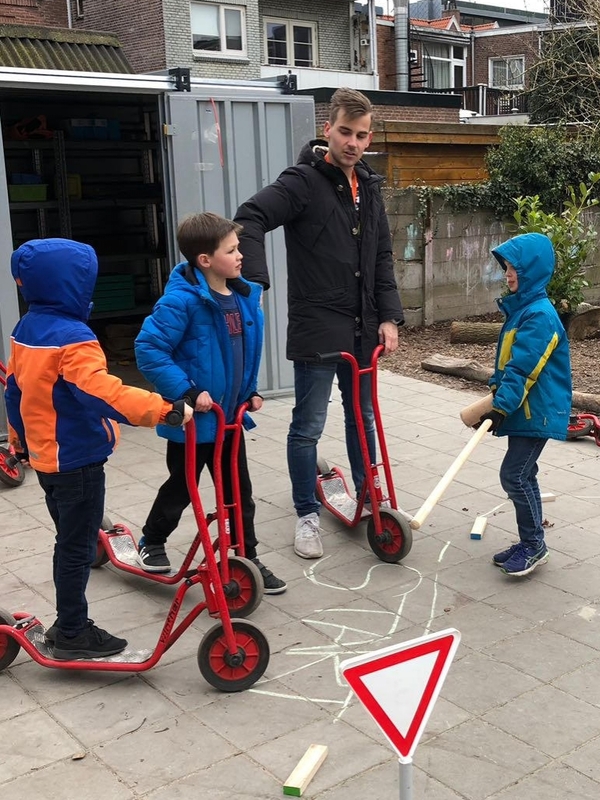 Only qualified childminders who have a degree in pedagogy and a declaration of good behavior (Verklaring omtrent goedgedrag) work at our After School Club. Your child will see the same familiar faces each day, because our employees work on set days of the week. This way you can go to work carefree, because you know your child is safe; A win-win situation. Children from all over the world come to the After School Club. Red, white, black or purple with a golden trim… every child is welcome. We adore all children and are happy to take eating habits, holidays and other cultural differences into account. Even better, teach us all about it, we love to learn about other cultures! 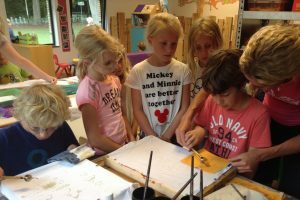 The After School Club is exclusively for children from the International School Haarlem. Op Stoom also offers before school care: The Sunrise Club. You can bring your child(ren) from Monday to Friday, from 7.30am onwards. Pretty awesome, never late for work again. Some children prefer to play outside all day whilst others become wildly enthusiastic about mechanical propulsion and computers. This is why at Op Stoom we don’t just have After School Club but also Special Clubs. How cool is it to spend time after school doing what you just love to do? Children of the After School Club can participate in two Special Clubs. Read more about it. Daycare, for children from zero to four years, is a safe and welcoming place where your child can develop optimally. 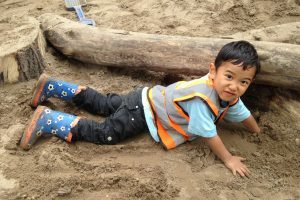 Attentive and nurturing care is the basis and each day we work on pedagogy: positive communication, showing patience, explaining and giving your child personal attention. Furthermore, we track the motor skills of your little one: lying, rolling over, sitting, crawling, standing up and sometimes even walking. For detailed information, have a look at our brochure Want to taste the atmosphere? We are happy to have you! Please call 023-2302004 for an appointment at your preferred location. Here you can find an overview of all our locations. Schools usually start at 8.30am. 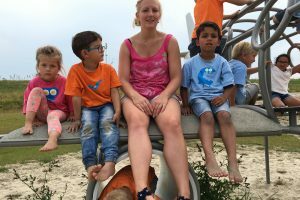 Do you require your child to be at childcare from 7.30am? Our Sunrise Club is located in the school building. So your child will be in school on time, and you need never be late for work again. The GGD (the local health authorities) inspect all our locations on a regular basis. These inspections can happen not only without notice but also on our request, for example when we open a new location or when a building has been renovated. The GGD inspects the quality of our pedagogy, employees, groups, safety, health, accommodation, décor and our communication with parents. 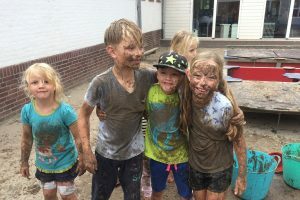 The International School of Haarlem (ISH) and childcare Op Stoom are working together to create a cohesive and engaging educational and childcare concept in the old Volkuniversiteit building situated just off the Leidsevaart in Haarlem. 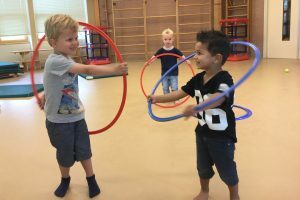 This is the first English language childcare in Haarlem and like the ISH, Op Stoom will also have native English speakers employed. We are very proud that we will work together and are busy with further plans to enhance our concept. 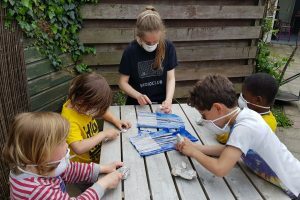 The ISH and Op Stoom will both use the International Primary curriculum (IPC), an approach that aims to help children learn and develop through fascinating, engaging and meaningful activities and lessons. 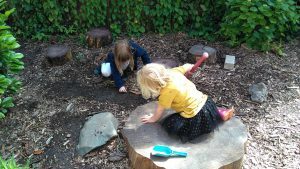 Themes will be used to help provide lots of room for children’s individual input as this helps to stimulate their thoughts on how and what they will learn. Questions regarding your registration, placements or rates? Do you have a different question or comment?